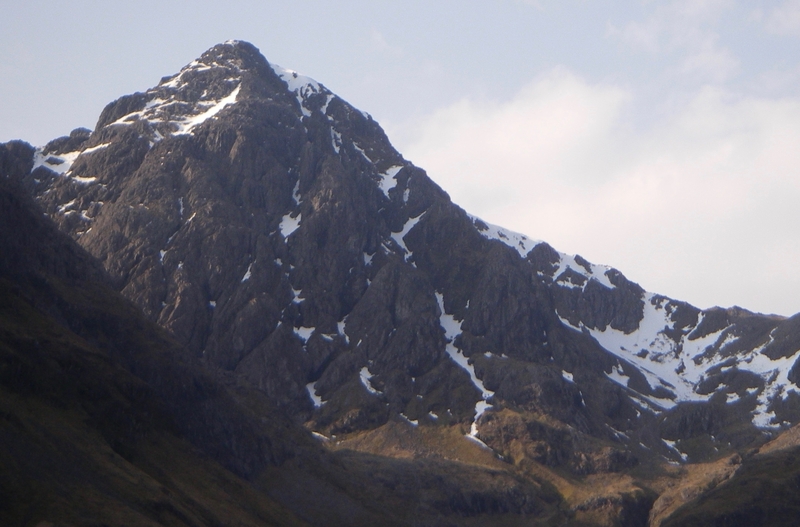 SAIS Glencoe Blog » Another great day in Glen Coe. Blue skies and sunshine yet again. Outlook remains similar. 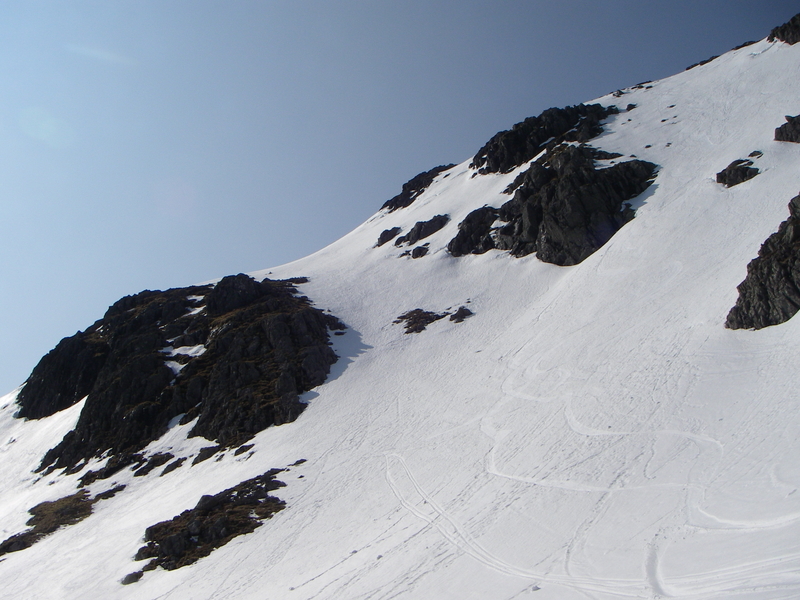 Snowpack is generally stable but steep slopes may present surface instabilities particularly where affected by solar warming. 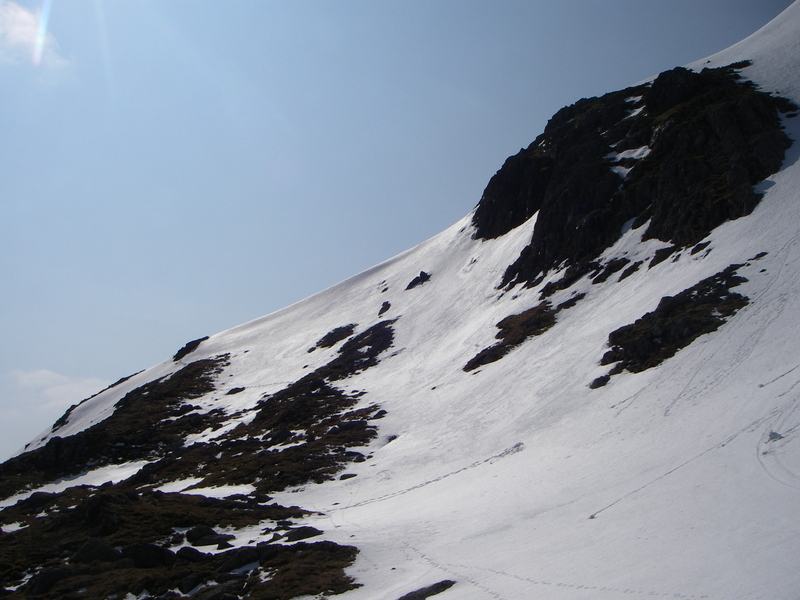 Remaining cornices are generally small and limited to the very highest scarp slopes but this will remain prone to collapse. 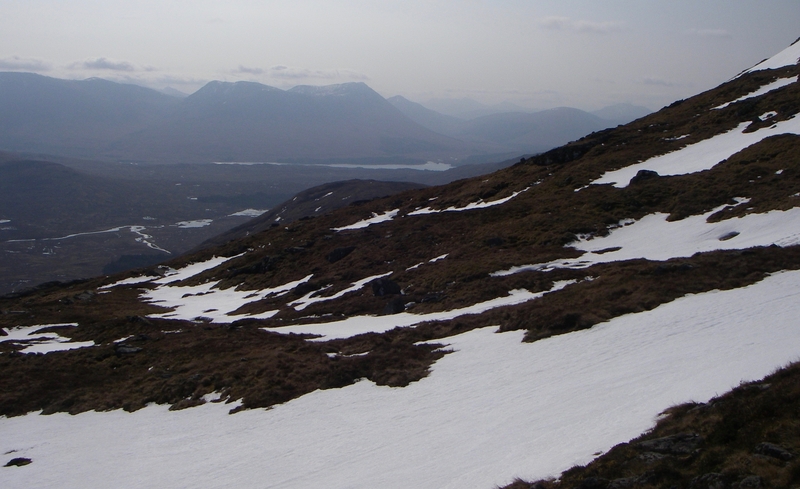 Looking Northwards from Meall a Bhuiridh. Lower section of Meall a Bhuiridh East Ridge. 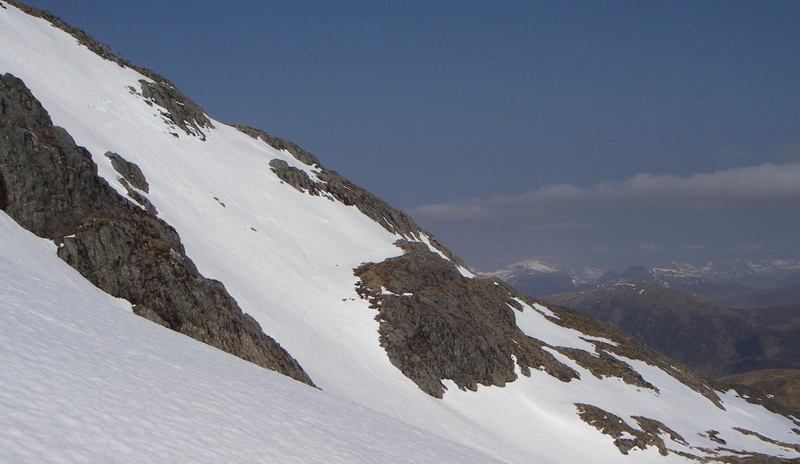 Upper section of Meall a Bhuiridh East Ridge, Flypaper is the main run to right of photo.